Training for the gold or maybe you are just out for a sweet Sunday stroll, when you are ready to traverse through the valley with the sun shining and the cool wind on your face. 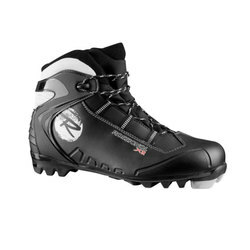 Feeling so comfortable gliding along the groomed trail with a pair of well fitted boots. Finding the correct style and fit is the most important thing in finding a comfortable boot. Looking for old school lace ups with a zippered outer layer providing protection from the snow or perhaps you are searching for a more modern ratchet system. 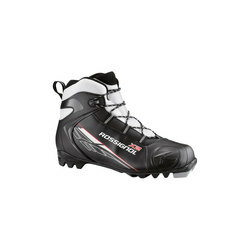 Choose from either Rossignol or Fischer Skis models in white, silver or black.